Gray Line Tours | Nyc Fit Food Fashion! Milly by Michelle Smith is one of my all time favorite lines. 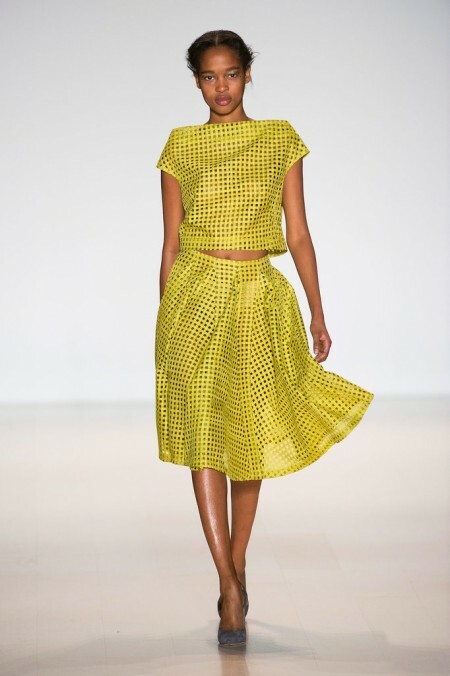 Definitely has been in my top 5 for the last few years and Milly did not disappoint in yesterdays show. 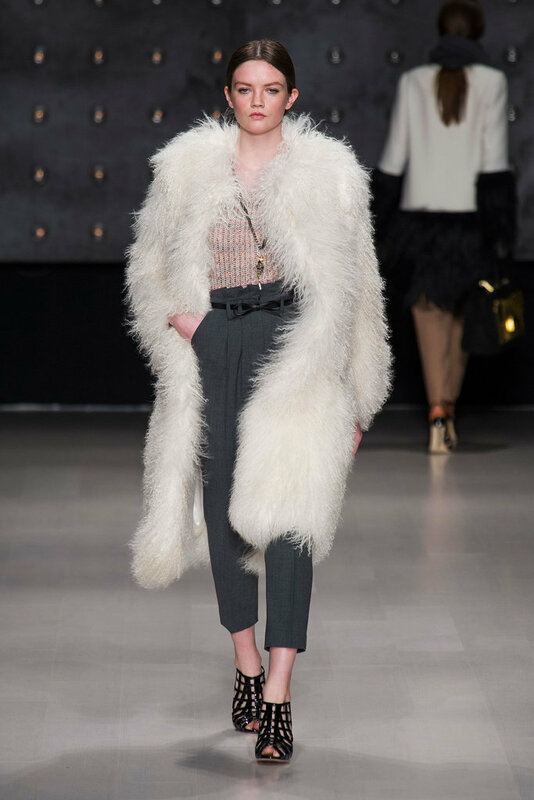 I really loved the mix of dark colors with neutrals, sequins and the many textures. Like a lot of the shows this week there was some fur thrown in there as well. 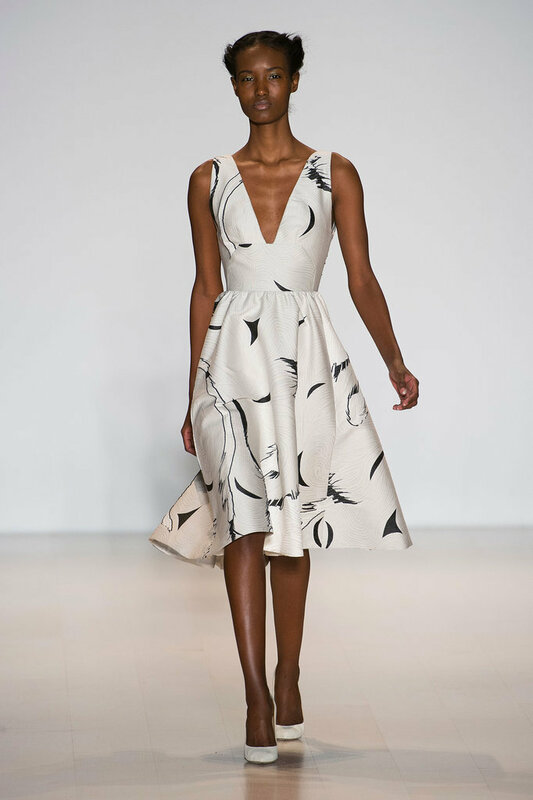 I am not the only Milly by Michelle Smith fan, seen in the front row was Anna Kendrick and Solange Knowles. 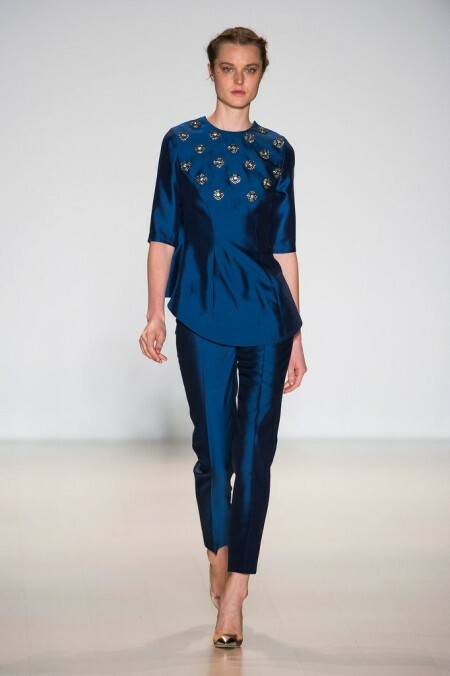 I really loved this collection, there was a real dark and luxurious feel to it. 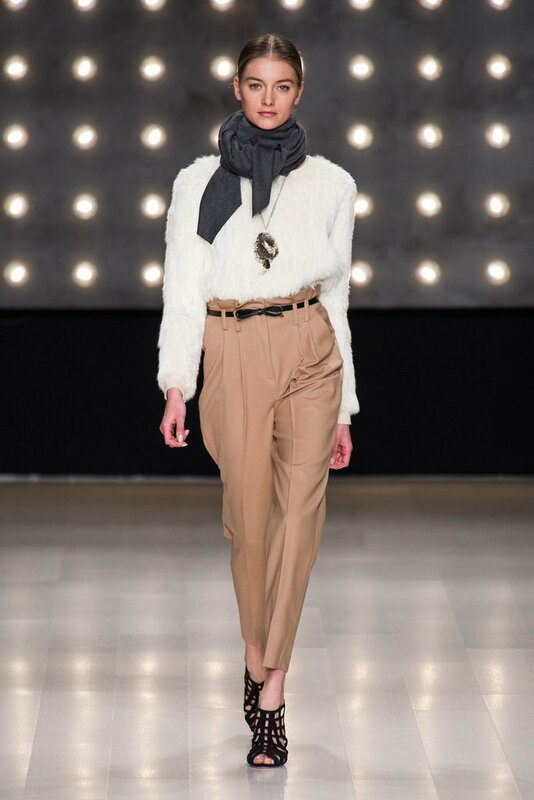 Let’s check out some of the looks that Milly by Michelle Smith had to offer for Fall 2014. 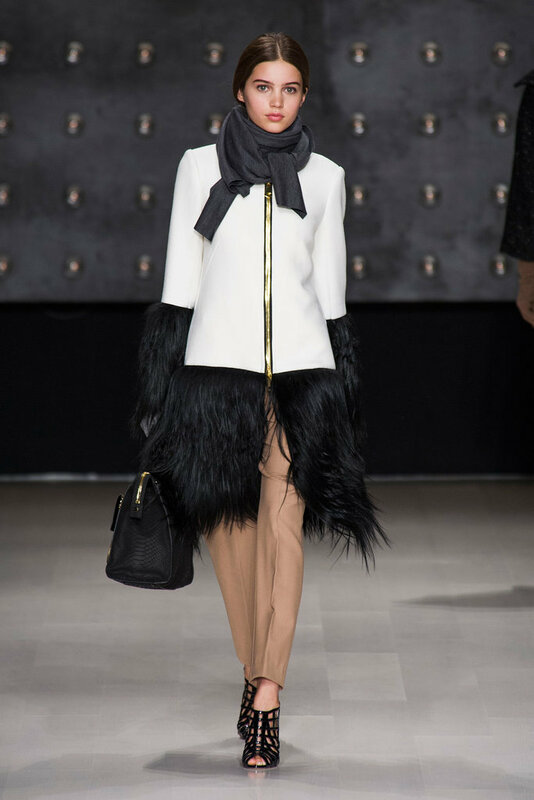 I love this black and white jacket! Just gorgeous! Michelle Smith looking fabulous with her little one! I love the shoes. Due to New York City fashion week coverage Tuesday shoesday will be returning next week. What was your favorite show yesterday? 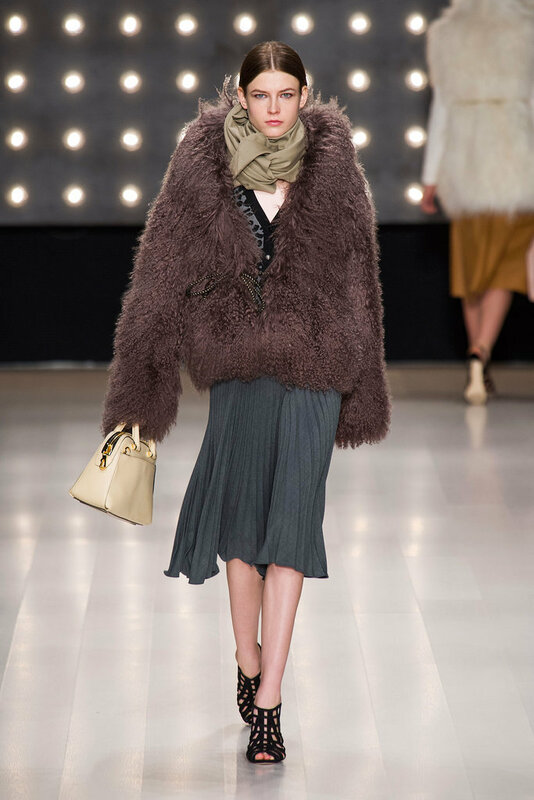 Also what are your thoughts on all the fur and textures we are seeing this week? Will you be daring enough to wear them? 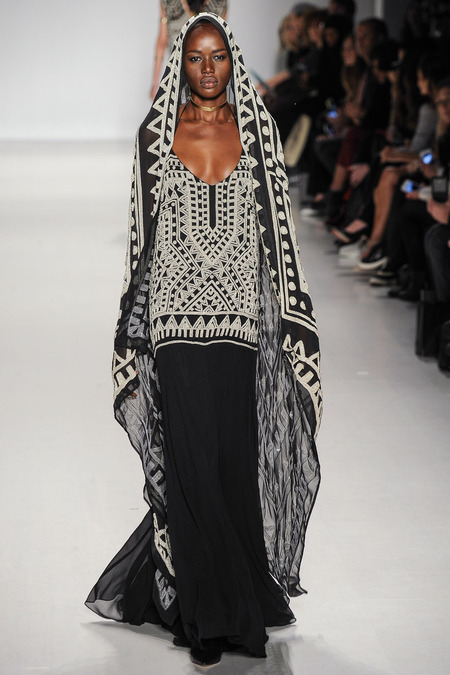 I loved the Lela Rose show. It is a shame that a lot of the articles that I have read today focused on the fact that yes, a model fell on the runway during the show. Let’s just get past that and move on to haw fabulous the pieces were in the show. 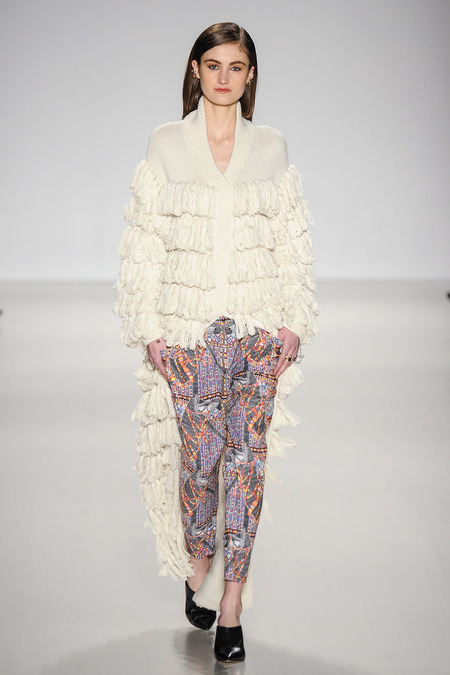 There were so many amazing textures with, detail embellishments such as feathers, crystals, lace, and jacquard. 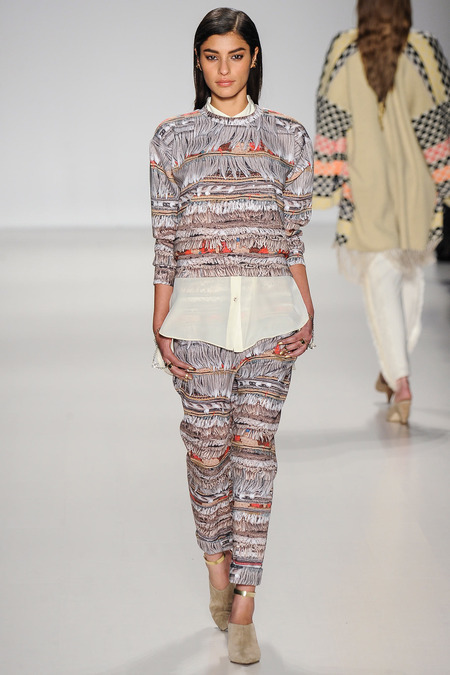 This was fashion at it’s best and I was in love with the color choices and the beautiful neutrals. 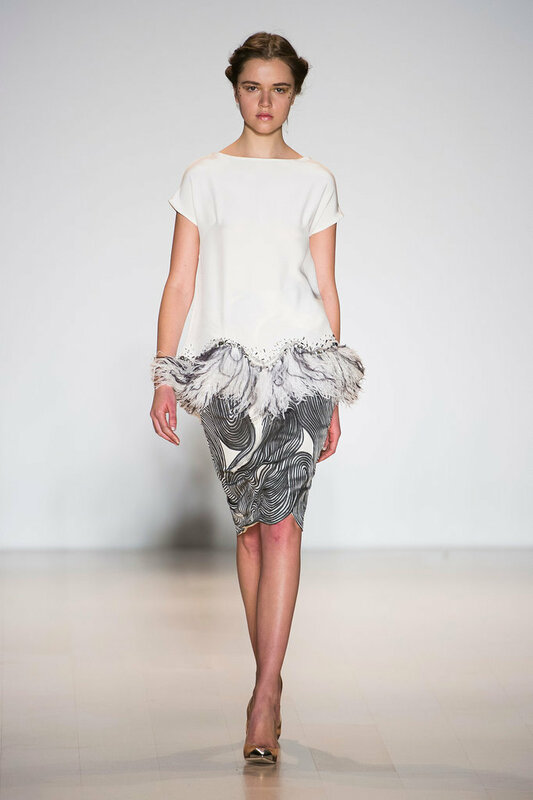 Here is a look at some of the outstanding pieces from Lela Rose. 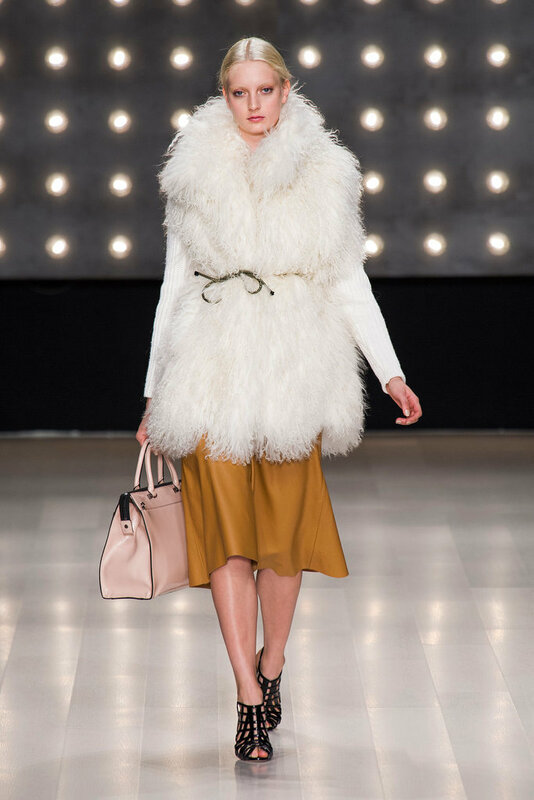 What did you think of the Lela Rose Fall 2014 Collection? 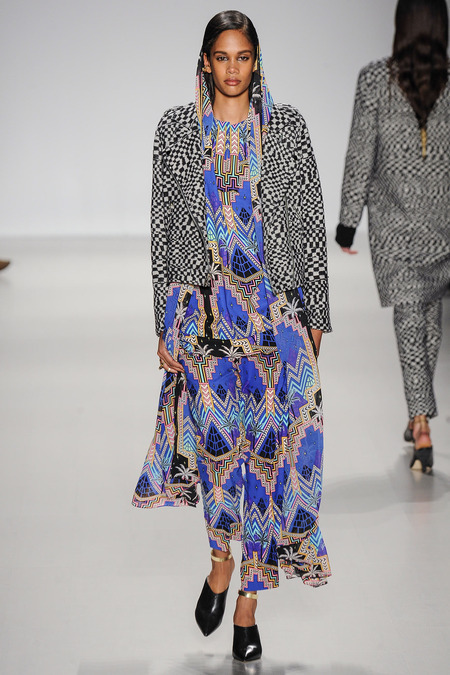 What did you think of the bold prints that Mara Hoffman put out yesterday? 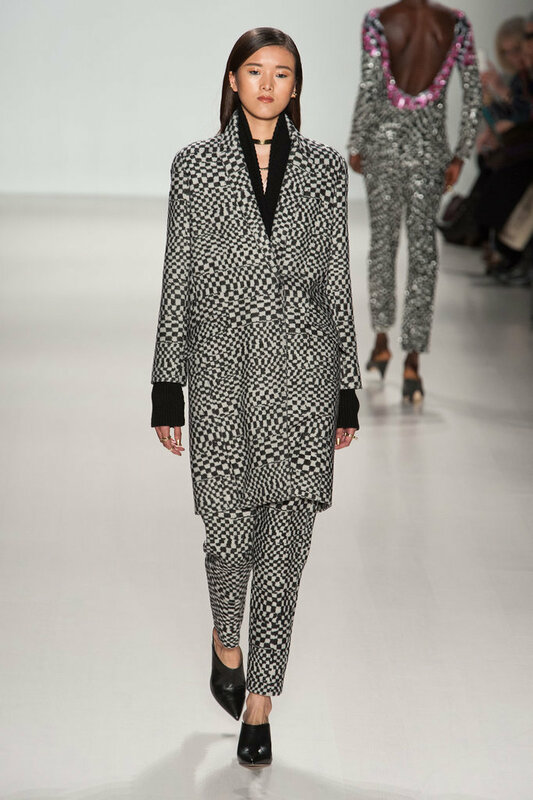 What has been your favorite show so far for NYFW Fall 2014? 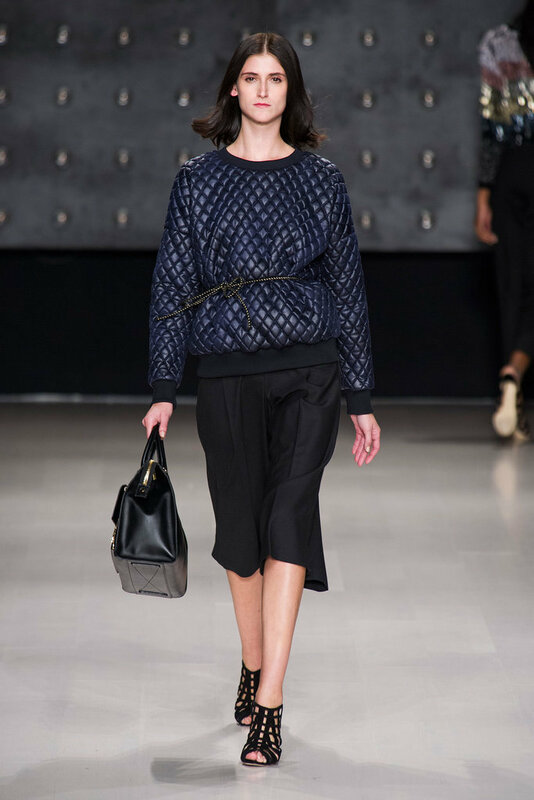 Out of today’s schedule I am really looking forward to DKNY, Lela Rose and DVF. I will be reporting back tomorrow on who was my favorite! What has been your favorite show so far? 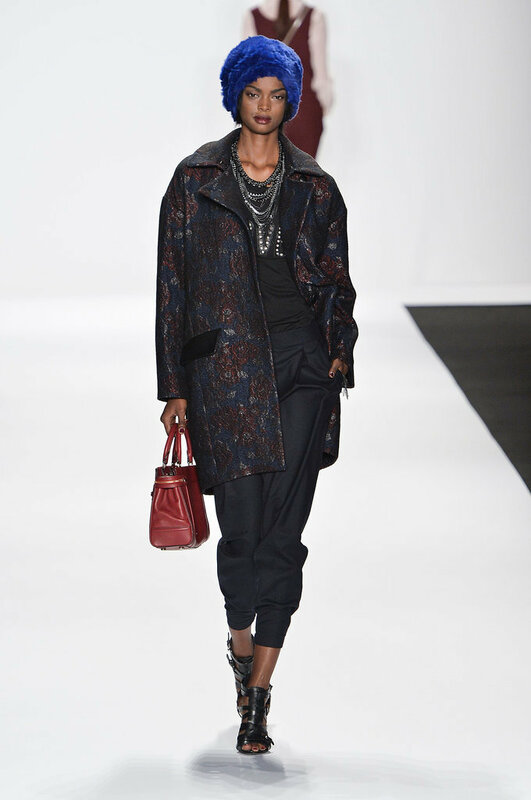 What do you think of the fashions that are upcoming for Fall 2014? 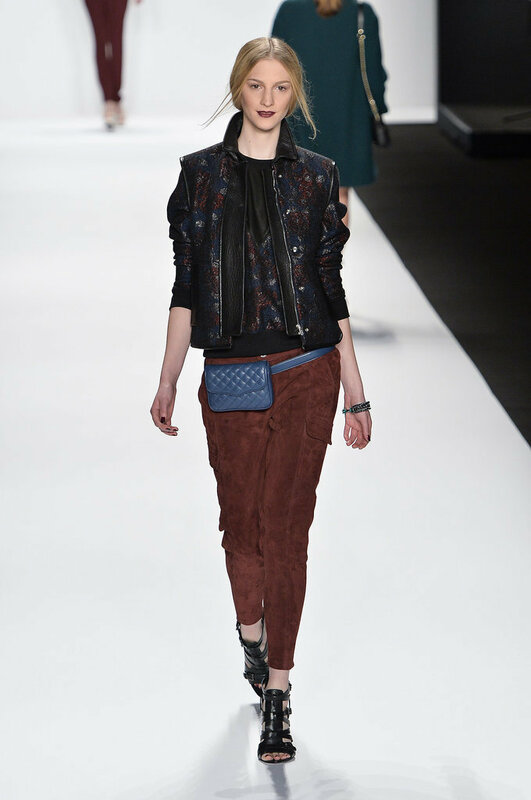 Once again Rebecca Minkoff did not disappoint. She definitely knows what is hot in the fashion world and her show are very popular with the young celebrities. 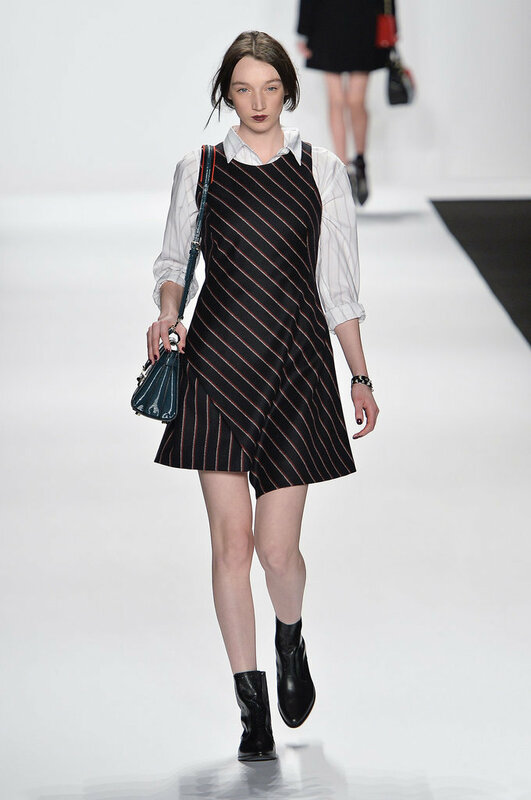 Seated in the front row at the Fall 2014 show were Zosia Mamet, Carrie Underwood, Anna Kendrick, Coco Rocha and Bella Thorne. 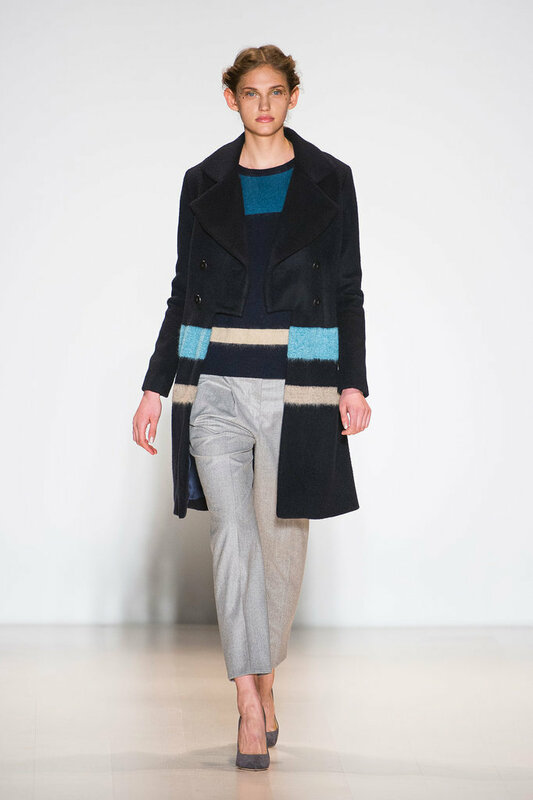 For this show Rebecca had a lot of masculine pieces matched with feminine colors. 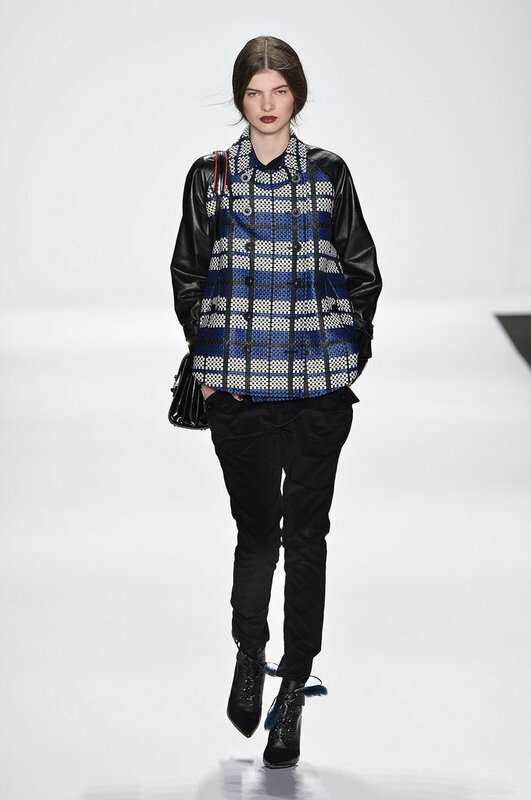 I am a huge fan of leather, I am so happy to see it back for next fall yet again. 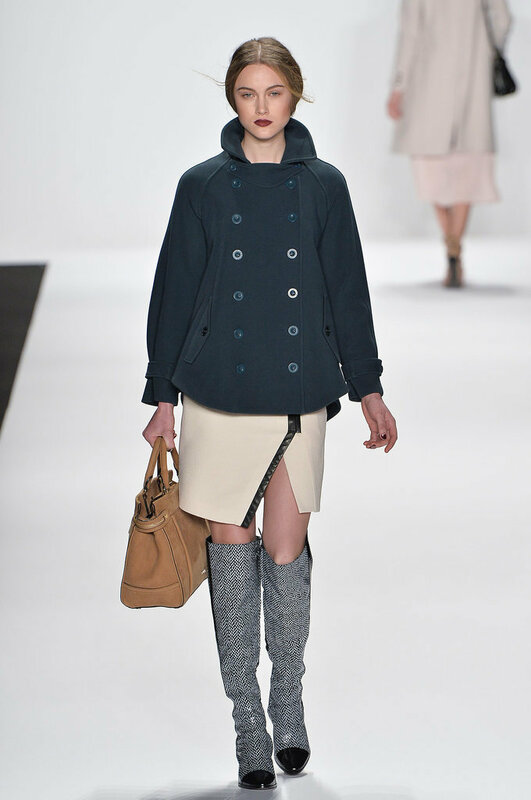 Let’s check out the looks Minkoff had to offer for her Fall 2014 collection. 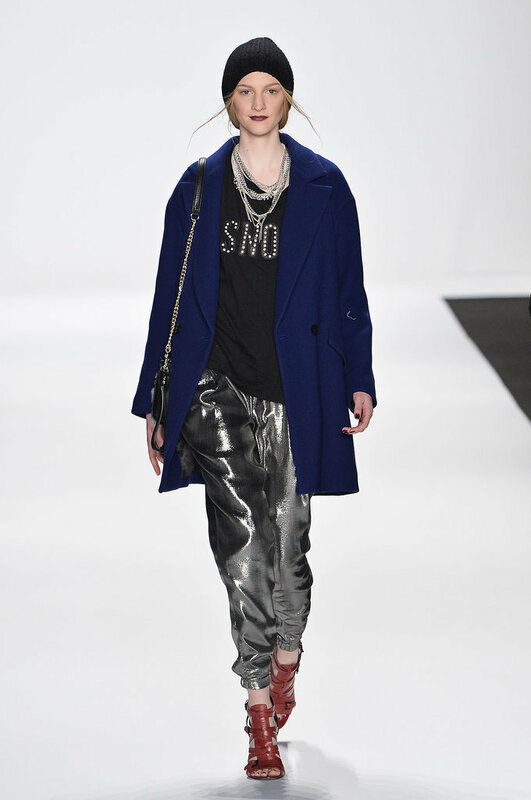 What did you think of the Rebecca Minkoff Fall 2014 Collection? 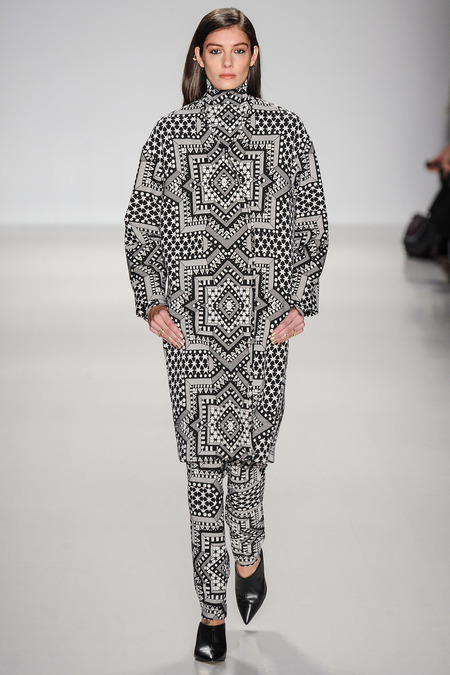 What has been your favorite show so far this fashion week? What have been your favorite shows so far? 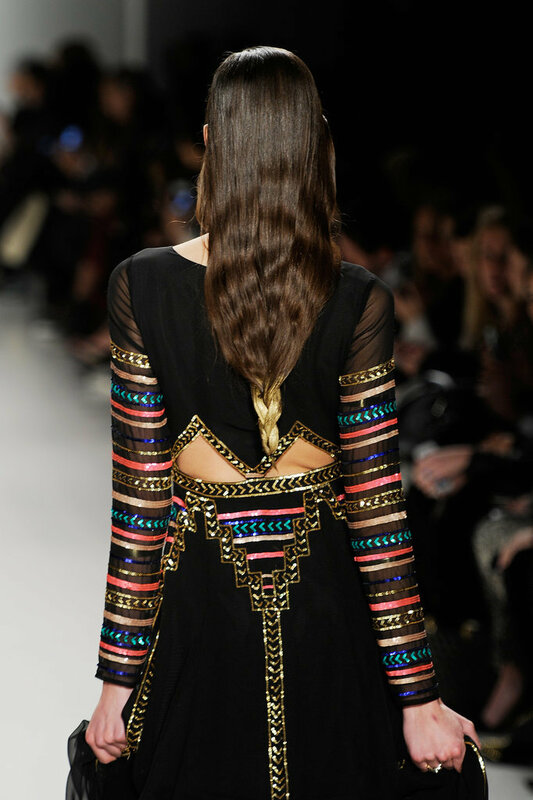 What fashion trends are you most excited about? It is February and Valentine’s Day is quickly creeping up on us. I know that Valentine’s Day is kind of overly marketed holiday but I am a chick and I love it. I have always been a huge fan of celebrating love whether I have been in a relationship or not. I also love Valentine’s Day in NYC. With the baby coming in March/April this will probably be the last romantic Valentine’s Day alone for a few years. I am lucky I have a great hubby and Jon has already planned a great evening for us. We will be going to see the Broadway play “Once” and having a romantic dinner. I have been dying to see the show and I am so excited for this! Last year we went to dinner at the 21 Club and it was amazing! Even though I already have my plans set, I have been researching things that are going on here in NYC for you lovers out there and for those of you that will be visiting NYC over the holiday. I have found some interesting and fun ideas out in the city. Beyoncé themed Valentine’s Day dinner at Brucie in Brooklyn. I have no idea how they came up with this idea but if you love Beyoncé this may be for you. The menu is inspired by all things Beyoncé. A very unique Valentine’s Dinner idea that is for sure! Valentine’s Day Dinner Cruise. We have been meaning to go on a dinner cruise forever and just have never gotten around to it. World Yacht has a Valentine’s Day dinner cruise which is a 3 hr cruise on New York Harbor with a 4 course dinner. Definitely something that you should do in NYC Valentine’s Day or not. Central Park is one of the most romantic places that you can spend time in for free in the city. I know it is kind of cold out but grab a latte or a hot chocolate, bundle up and take a walk with your loved one. If you are really feeling romantic take a horse and carriage ride through the park. Better do that soon before the city bans it! Couples Spa Day is a popular thing to do in the city. If this is something you are wanting to do book it now. I took Jon for a couples massage on Valentines Day a few years ago as a surprise and it was a huge hit with him. There are so many Valentine’s Day deals going on at all of the city’s best spas. Take in a Broadway show. We are planning to see “Once” for Valentine’s Day. NYC is full of amazing Broadway shows. If you and your loved one like to go to the theater, this may be a great idea for you. If you do not want to splurge on the price of a Broadway ticket, off-Broadway can be just as fantastic!